The perfect companion when you are out and about! 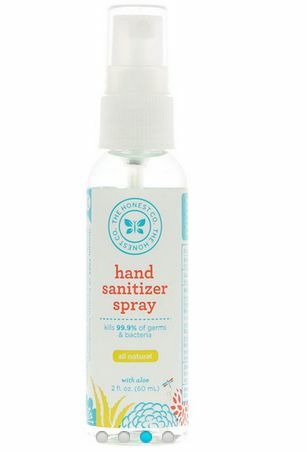 It’s the Hand Sanitizer Spray from our friends at The Honest Co! Comes in a convenient 2oz size (fine for airline travel) and with a quick spray, kills 99% of germs and bacteria. Super quick drying, your hands will be soft and moisturized, thanks to the addition of aloe as well as germ-free. Best of all, no harsh chemical are used – only plant-based products with natural antiseptic and antimicrobial properties are used.